Handcrafted construction, elegant design and timeless tradition can be found in every back yard structure sold by All Amish Structures. With every detail meticulously planned to meet your needs, our structures last for generations to come. 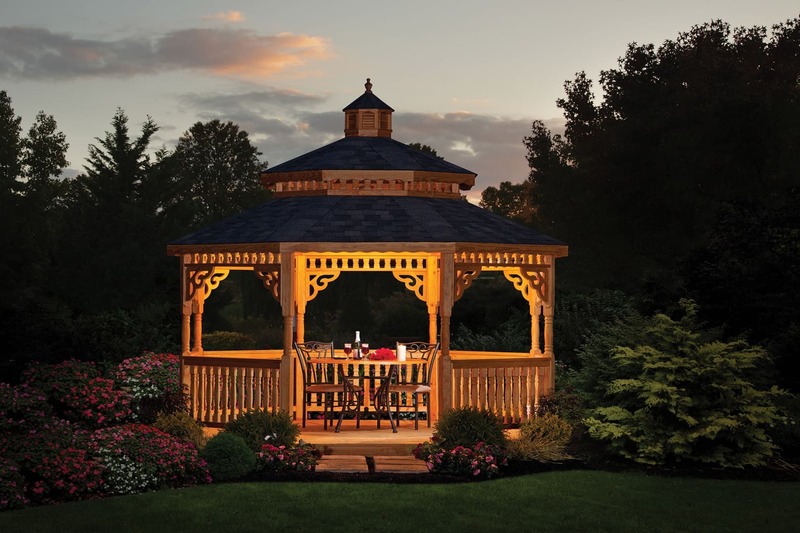 Whether you’re looking for a picturesque gazebo for intimate gatherings, a pergola for aesthetic appeal, or a large pavilion for your business center, All Amish has the structure for you. Choose from a variety of styles, sizes, colors and shapes to fit any setting or customize your structure to suit your needs. Let us help you create the back yard of your dreams!